Great article! Excuse me about my english, I’m Osasuna’s fan from Pamplona and I think that Mendi is doing a very good job, he is going to end this season of course, but people here thinks yhat without money, you have to look for players in the “cantera”, and Mendi prefers to play with old players than play with young people. 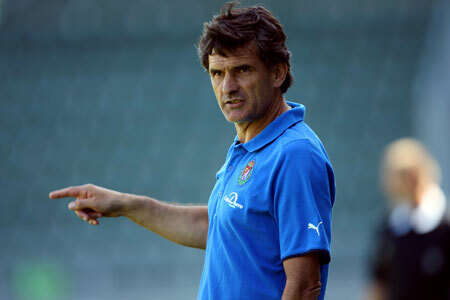 and in Tajonar are a lot of good players that posibly don’t have any oportunities with this coach. People want a change. ¿Can you tell me something about Sammy Lee’s carrer talking about the management? jeje. Even if Mendilibar does not take players from the Cantera, investment here could still be good for Osasuna. Younger players could be sold with the money reinvested in the team or used to clear debts. Sammy Lee is back at Bolton again after a spell at Liverpool. I hope they can survive. I enjoy watching them. They don’t play the best football in the league by any means but when El Sadar is full, it’s a great atmosphere.